I absolutely LOVE this card. I used the sketch from Friday Sketchers # 147. I used some faux leather I found at Michaels. I love Tim Holtz metal gears. 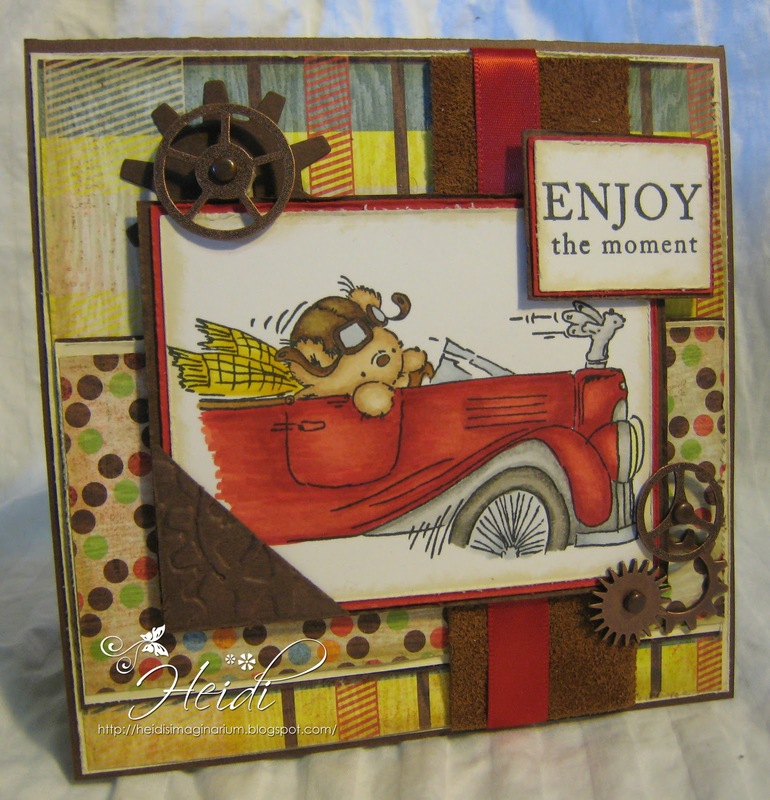 Accessories: Tim Holtz Metal Gears, Leather from Michaels, PTI Red Poppy Ribbon, Tim Holtz Gears Embossing Folder, Tim Holtz Gadget Gears Sizzix Die. Oh this is so cute Heidi, gorgeous card and fab colours. This is gorgeous Heidi. Love the papers and a great sketch! Another mixture of great papers, great image and great colouring. This one has the added umph of those Tim Holtz gears though. Perfect for a blokey card.